By Francoise Dussart and Sylvie Poirier, eds. Over the past few decades, in settler states like Australia and Canada we have seen increased recognition of the complex nature of relations between Indigenous peoples and nations, on one side, and settler groups and polities on the other. In much of the public discourse focused on such relations, whether framed around questions of land rights, territorial sovereignty, or cultural difference, the sense is of two distinct and separate groups that have long been in conflict and are now, at least in some cases, seeking to find ways to come together, to reconcile, and to coexist. It is this terrain which Entangled Territorialities: Negotiating Indigenous Lands in Australia and Canada, a volume edited by Francoise Dussart and Sylvie Poirier, seeks to traverse. As the title suggests, the focus is on Indigenous-settler relations as they are shaped, understood, and experienced through engagement with lands and territories, and the myriad beings, life forms, and ‘resources’ they encompass. Central to the volume is the concept of entanglement, which, the editors argue, provides a useful frame for exploring such relations. Entanglement, they suggest, negates the notion of neatly separate Indigenous and non-Indigenous spheres and shifts the focus to ways in which they are bound up together. Many of the chapters grapple with ontological differences, contrasting Western ‘naturalist’ and Indigenous ‘relational’ ontologies, how they shape relations with land and territory, and how these ways of being are reflected in asymmetrical power relations. The contributors to the volume include prominent anthropologists and ethnologists with long histories of work with Indigenous peoples in Australia and Canada. The contributions vary widely, ranging from stories of conflict and strategic cooperation over hunting territories in Northern Canada, to analysis of shared management of feral camels in Central Australia and the challenges this poses for Aboriginal relations to land and animals, to accounts of shifts in Yolnju land knowledge and mortuary rituals (in Australia’s Northern Territory) over time through engagement with settlers and their institutions. Rich in detail, these ‘tangled stories’ productively explore the many complex ways that Indigenous forms of knowing and relating to land and territory have shifted to accommodate settler intrusions. Much less evident here are ways that settlers and the settler state have experienced and responded to Indigenous knowledges, ways of being, and assertions of territorial sovereignty. In this sense, for the most part the stories are one-sided, which would seem to undermine the notion of the Indigenous and non-Indigenous being deeply entangled and inseparable. Or perhaps, as Michael Asch suggests in a useful afterword, being in a position of power and being certain of our ways, settlers are less able or willing to recognize our entanglement and less interested in trying to understand other ways of being in the world. Several of the chapters explore the entanglement in a more personal sense, that of the settler/author (or academic) in personal relations with the Indigenous individuals or community which with s/he works, and I found these stories particularly engaging. 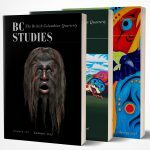 Colin Scott’s description of long-standing relations with Elmer Georgekish, an Eeyouch (eastern Cree) hunter and police officer, for example, and Brian Thom’s recounting of his challenging encounters and engagement with Coast Salish individuals and their particular worldviews, provide more intimate and hopeful views on the complex entanglement of Indigenous and settler subjects living and working together in Indigenous territories. Entangled Territorialities represents an important contribution to the growing scholarship on settler-Indigenous relations, particularly as this literature pertains to Australia and Canada. The volume’s primary value lies in the collection of detailed case studies, the product of long and intensive engagement on the part of the contributors, which shed light on how contested lands and territories serve as terrain for the negotiation of new Indigenous-settler relations. Francoise Dussart and Sylvie Poirier, Eds. Toronto: University of Toronto Press, 2017. 269 pp. $25.46 paper.